About Leo Brief – Developed server/client applications in previous working experience. In college, researched and published articles about artificial intelligence. 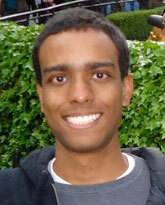 Education: Exchange Student at Daytona State College and under graduation at Technology College of Sao Paulo (Fatec SP). Interests: Spending time with family and friends, Exercises, Video games (playing and development), Tech gadgets. – Responsible for grimmster emarketing research and development processes. Client communications and project coordination.